To use the PeeNut, insert the pads into the wrap and go - it's as simple as that! 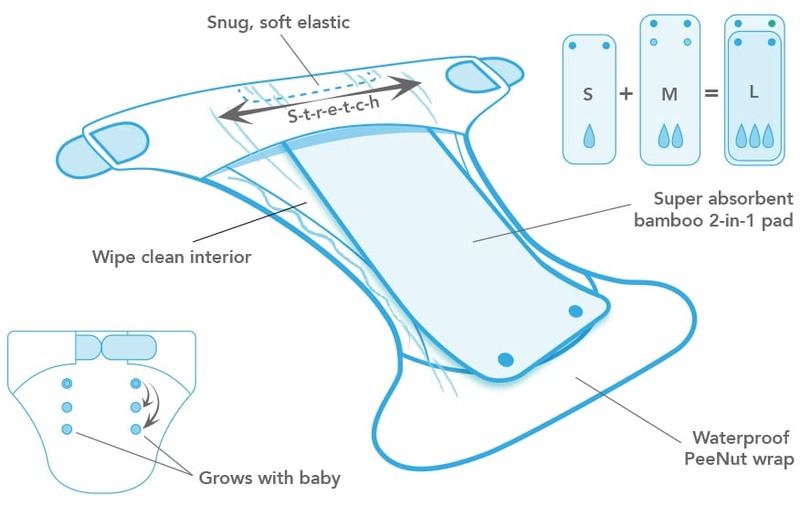 The 3-in-1 PeeNut pad is made up of two pads (light and medium) that can be used separately or popped together for flexible absorbency and fit. Use light for newborns during the day and medium at night. Use medium during day once baby needs it. Pop both light and medium pads back together for maximum absorbency once baby is doing power wees. The pads are made from gorgeously soft bamboo with a touch of microfibre for fast drying. Time to change? Pop in a new pad and re-use the wrap.